Matt Anderson came to HMF just over a year ago after working in the architectural world for several years. Matt brings a wonderful sense of tranquility to the organization. He is calm, never seems to lose his cool and is really, really funny. Our team is better because Matt is on it. Matt wears a lot of hats at HMF! He handles everything from local and state permits to course layout and design, he organizes the warehouse of supplies, washes the HMF trailer, orders event signage...it’s a long list. In a nutshell, Matt helps ensure everything runs smoothly on race day and that everything is properly equipped, looks presentable and functions appropriately. The ING Hartford Marathon. It's just amazing to see what months of coordination and planning can create. It's a thing of beauty. Participating in the Manchester Road Race is a tradition like nothing else. I look forward to it all year. And working at the starting line of the ING Hartford Marathon- it gives me chills to stand in front of thousands of runners who are all ready to begin one of the biggest race of their lives. 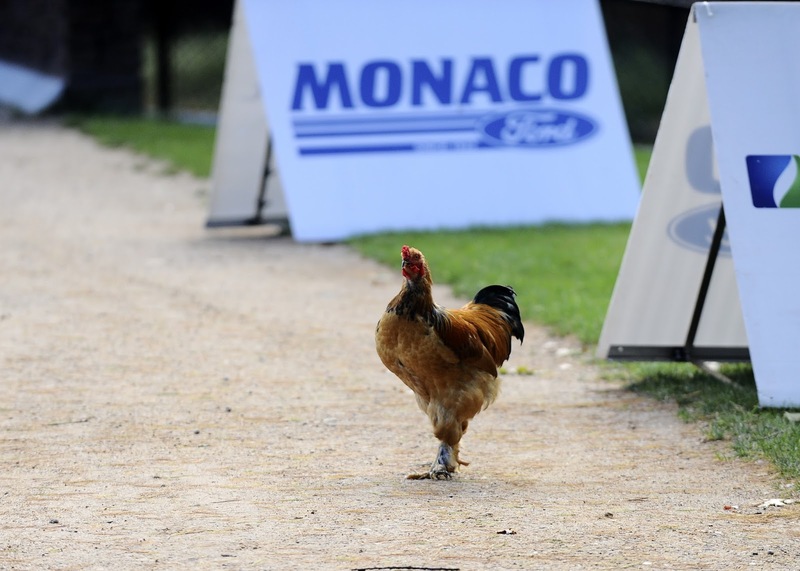 Getting a rooster out of the chute at the Women's Triathlon. That guy really loved the spot light. Communication. At every race there are always a lot of balls in the air, and it's crucial that everyone from the race staff to the volunteers are on the same page to ensure a successful event. This simple focaccia bread I had during my honeymoon in Italy. I dream about it sometimes. My dog Finn, he's like clockwork. 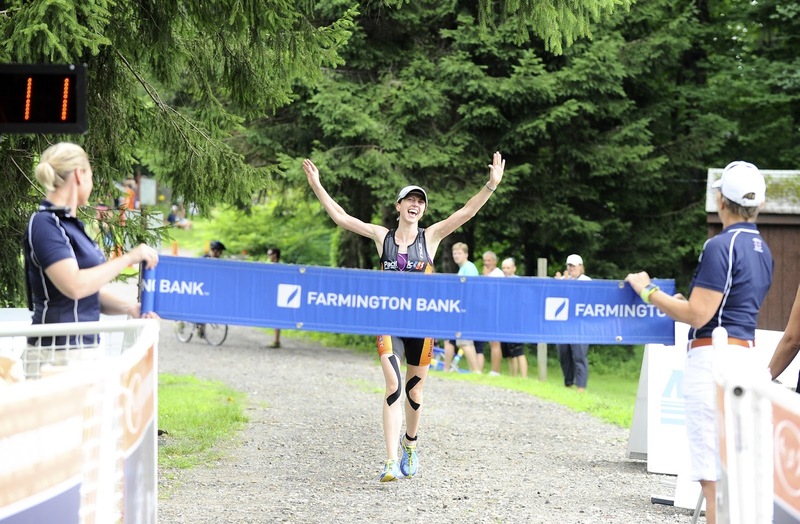 The Litchfield Hills Triathlon is a summer highlight for the HMF staff and hundreds of loyal triathletes. 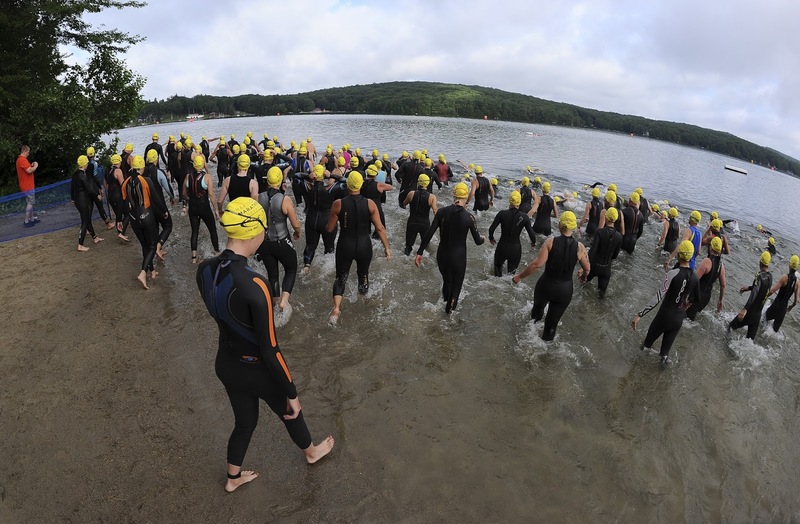 The beauty of the quiet corner of Connecticut, the crystal clear waters of West Hill Lake (link) and the hundreds of enthusiastic athletes make the annual event very special. The energy before the race is quieter than other events, athletes getting into their zone. After the race, the camaraderie and sense of accomplishment is evident - lots of high fives all around for a job very well done. Planning, coordinating and producing a tri is a huge undertaking. Safety and risk management are paramount: 500 people in the water, 500 high-speed bikes – you can see what I mean. We plan for the highest level of safety for our participants, and we have great help there. The Mount Southington Ski Patrol members have worked with us for eight years to provide safety and security on the bike course. We employ one lifeguard for every 35 swimmers and have boats and kayaks out on the water to help swimmers in need. We use 45 course monitors and a dozen police officers out on the bike course and we have medical staff at the water, in transition, on the course and at the finish line. Our hope is that we never use any of them. Training for an Olympic distance event is a serious endeavor. A 1 mile swim, 25 mile bike and 10K run is a huge accomplishment to complete. People stress the most over the swim portion but really, the swim is less than 20% of the entire race. The majority of an athlete’s time during a triathlon is on the bike. I’ve completed over 100 triathlons and found it was most beneficial to train in bricks- a bike ride immediately followed by a run, or a swim immediately followed by a bike ride. Your body needs to adjust to the sensation of moving from one sport to the next. Your muscles are like “What are you doing to me?”. Before HMF was born, I directed the Bud Light Triathlon in 1991 and 1992. 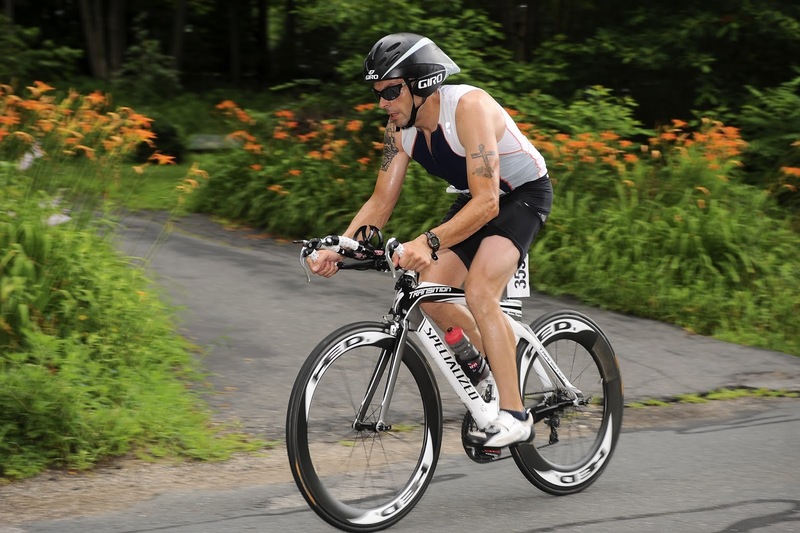 I had 1500 athletes using urban Hartford for the bike and run course and the Connecticut River for the swim. We had thunder, lightening and torrential rains on race morning. It was so dark that volunteer check-in was done by car headlight and the current so strong that athletes were swimming beyond the swim exit. Beyond those minor (!) issues, the event was a piece of cake and I was hooked! HMF’s first triathlon was the Niantic Bay Triathlon in 1999 and we’ve since added the Women's Triathlon, Litchfield Hills and Ocean Beach. I often run or bike in areas around CT that are so beautiful and think to myself ‘I have to share this amazing place.’ Have an idea for a great location to host a triathlon or duathlon? I’d love to hear about them in the comments below.